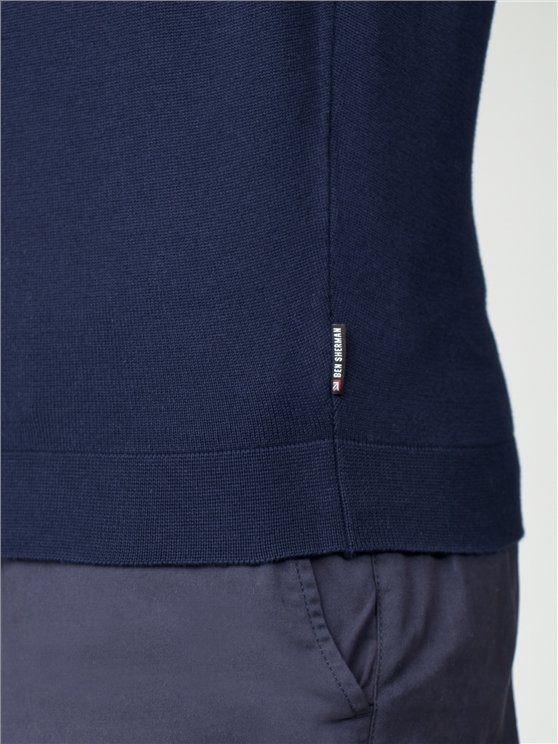 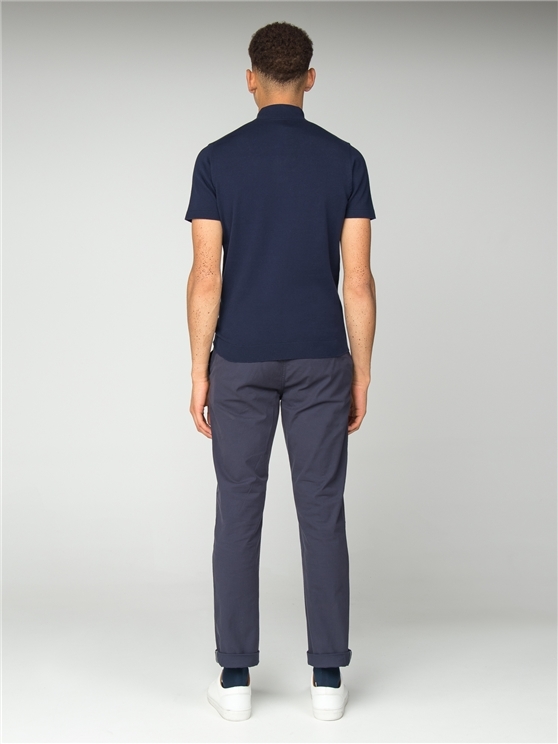 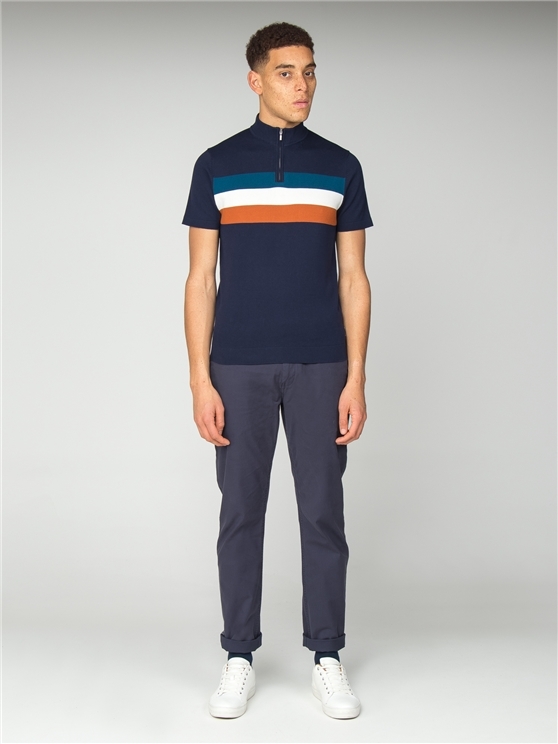 The knitted polo shirt; a Ben Sherman favourite. 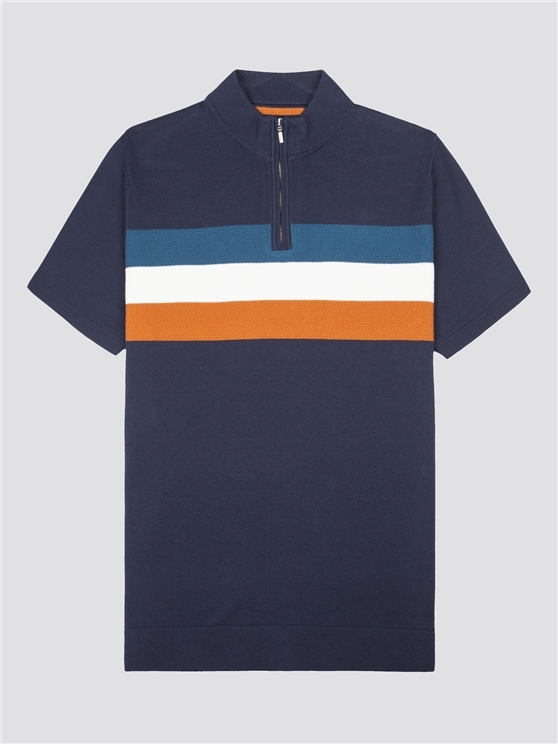 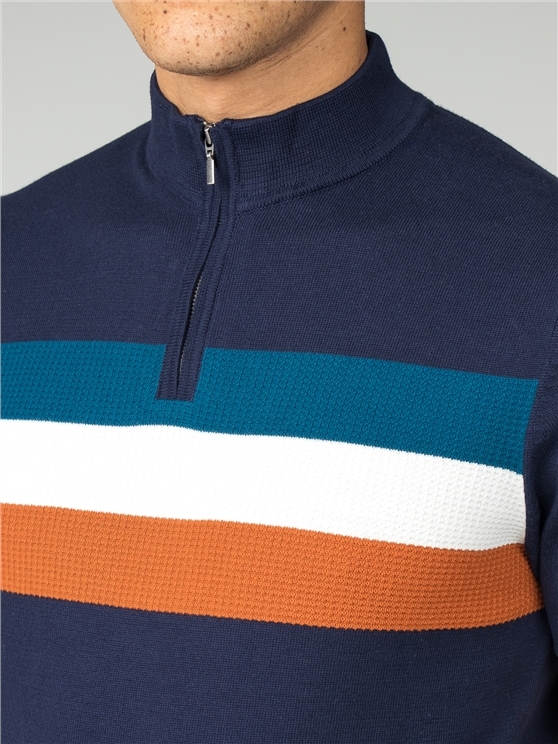 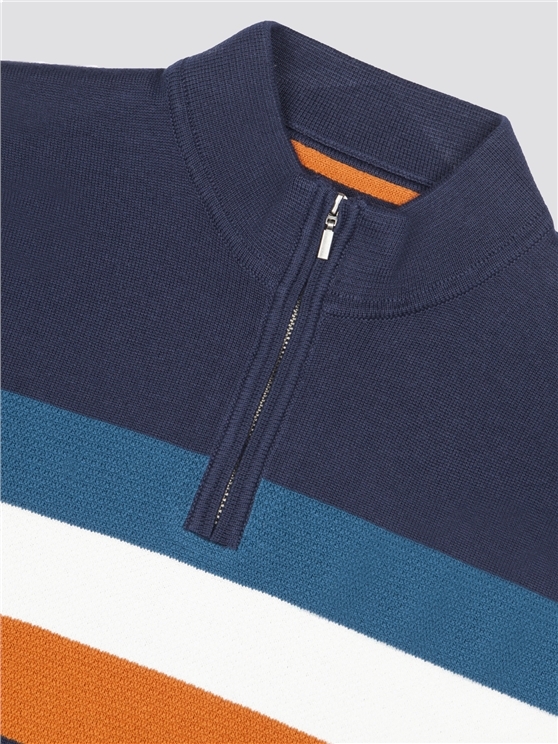 This men's navy blue knitted polo features the iconic Ben Sherman house colours in horizontal chest stripes, with soft knitted cotton fabric and the legendary Ben Sherman branding. 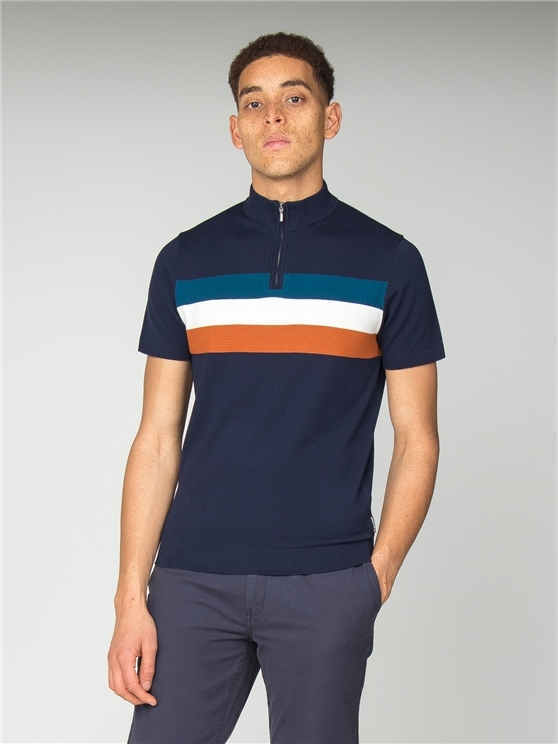 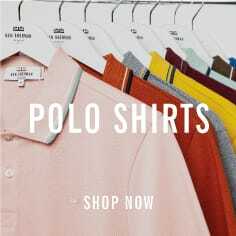 With a zip fastening neck, a short sleeved polo design and a classic feel, this men's polo is a perfect addition to any wardrobe - with pure Ben Sherman style, 100% cotton fabric and a knitted polo texture. 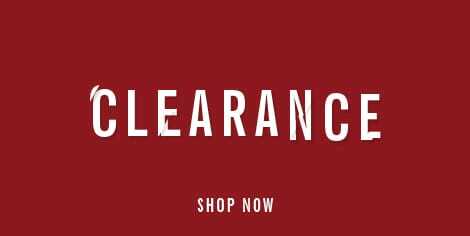 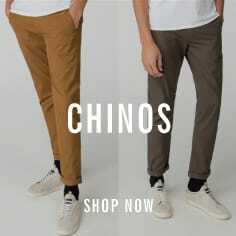 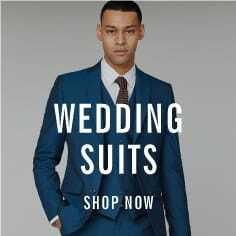 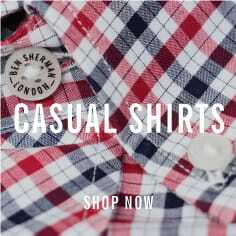 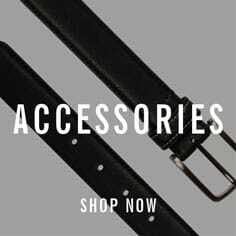 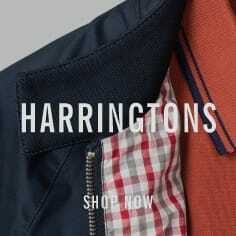 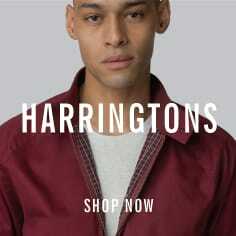 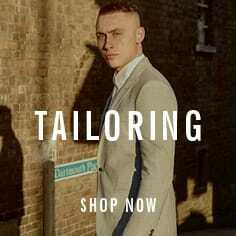 The true original; only from Ben Sherman.